However, the Parted Magic Live distribution  gives you a permanent answer to backup problems. Parted Magic bills itself as "a complete hard disk management solution." 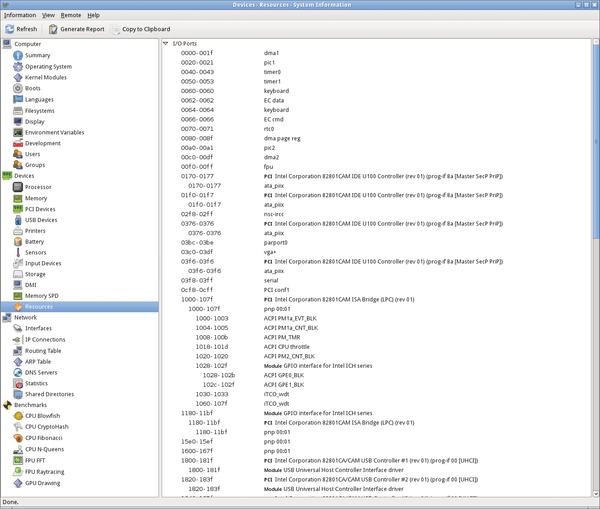 The Live system comes with a collection of useful tools for partitioning, backup, disk cloning, data rescue, and more. Although the maintainer has recently asked for a contribution to help finance the GPL-licensed distribution, the price of just under US$ 5 is something anyone can afford. For example, if you suspect – specifically for mobile computers – that overheating of individual components is causing problems, you can use Psensor to read the temperature sensors installed in the computer. If this still doesn't help you track down the root cause, you might want to check the disk integrity. To do this, press Disk Health, which in turn launches GSmartControl  (Figure 3). You can then view the faults in the Error Log tab. The Perform Tests tab lets you launch a storage medium test, if in doubt. 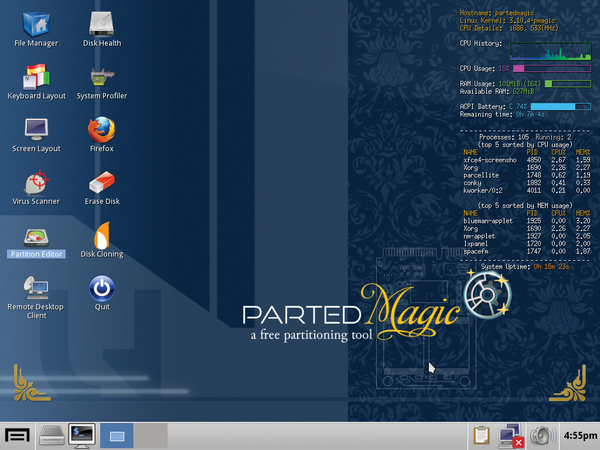 Parted Magic also offers many routines for identifying software problems. The tools that catch the eye here are primarily for Windows systems. For example, the System Tools menu contains two programs: PCLoginNow and Change Windows Password. They allow you not only to change Windows passwords but also reset them if needed. The typical Windows tools include antivirus programs that will rid your Windows computer of malware. Clicking on Virus Scanner launches the ClamAV virus scanner . When you first start the software, it automatically downloads the latest virus patterns. Another Windows-specific issue is weaknesses of the NTFS filesystem , which tends to become inconsistent in cases of high utilization. To avoid loss of data, the program allows you to Resize NTFS with Bad Sectors in the System Tools menu – even if bad sectors are found. For Linux, Parted Magic offers the Grub Doctor tool, which allows you to repair a broken GRUB2 configuration.